Hello everyone, welcome. 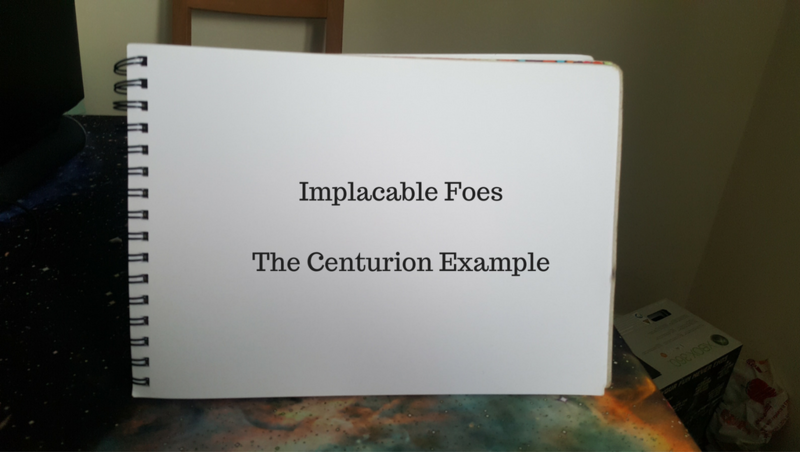 I was recently watching the movie Centurion, an underrated gem funded by the National Lottery with an impressive cast that explores the fate of the 9th Roman Legion which disappeared in Great Britain. Some folks believe it returned to mainland Europe (I understand there are historical documents supporting the theory that elements of the Legion returned, but not all of it), others theorise it went native and more still suggest it was wiped out in Scotland by Picts (this is a somewhat simplified and not particularly heavily researched statement, so please don’t treat it as absolute. It is merely three possibilities I believe to be possible that each have some evidence or at least are reasonable to believe). Anyway, that is besides the point. I was watching the movie and it occurred to me that the antagonist was actually quite scary and it got me wondering, what made them scary and can I use it in writing. I’ll warn you, from this point on there are spoilers which cannot be avoided in this discussion. Ok, so the character I am focusing on is Etain, pictured above played by Olga Kurylenko. She is a Pict in the employ of Governor Agricola, assigned to the 9th Legion under the command of General Virilus played by Dominic West. Their mission is to venture into Scotland, and find and kill the Pictish King. Along the way they encounter a Pictish Hunting Party who are hunting a captive Roman Centurion, played by Michael Fassbender, for sport. They save him and he joins their ranks marching North to relieve the Pictish King of his head. Of course, it doesn’t go to plan as Etain was a Pictish plant all along and the 9th are ambushed and slaughtered leaving a handful of survivors (Played by the more famous actors in the film). The rest of the film sees the Roman Survivors attempting to free their general, and then fleeing for their lives from Etain and her hunters. During the this movie Etain is pretty intimidating as a character, and terrifying to the protagonists and I started wondering what it was about her that made her scary. I reduced it to two things and then started pulling them apart. Etain never speaks. Her tongue was cut out by Roman soldiers when she was a child. A couple of times she screams but she never speaks. Etain is a tracker. Every time the Romans think they get a break, she is there on their trail. Here is how I pulled those facts apart. One fact about most significant human characters in any movie/story is that they generally speak. Without hearing from a character we find them mysterious. It also has a de-humanising effect on the character. We know that, generally speaking (pardon the pun), that humans talk. When one doesn’t or, as is this case here, can’t then something about them is different. It makes them stand out as uncanny. I have written posts about the uncanny in the past, talking about eyes and automata. You can read my post about eyes HERE and automata HERE. In my post about Eyes I spoke about how we read intention in the eyes of those before us, and when that is denied us then we are unnerved. I also suggested that if eyes were, as is sometimes said, windows to the soul then milky white eyes or something in their place becomes a wall. We cannot see the soul of the person before us therefore it unnerves us (I realise I am making a number of leaps of reason here). It then makes us think in the area of the automata. In this case, something that appears and moves like a human but your instinct tells you it is wrong. Working from this, if eyes are windows to the soul then surely the human voice is a manifestation of its will? Taking soul out of it, it is my personal belief is that the voice is the first manifestation of will that we try to impose upon our surroundings. If a person does not/cannot speak then their will is not immediately obvious, their intentions harder to read bringing us to the uncertainty factor. If we cannot read intentions we cannot be sure what our opponent will do. It is fairly clear in the movie, Etain will hunt the Romans until they are all dead but even so there is this inability to read her. Which brings us back to de-humanision. At face value this doesn’t seem sinister at all. It is a perfectly reasonable for someone who was born in the wilderness to have this skill. However the context changes its impact. The film is about the the flight of the Romans, and as I noted they never really manage to shake her for long. This is commented on by the protagonists who equate it to devilry and witchcraft. It is down to their leader to point out she is simply a gifted tracker. However, removing devilry and witchcraft does not remove the sinister aspect of her skill or rather what it represents. Her skill means that the efforts of the Romans are basically futile. No matter what they do, she will always catch them. The futility of the main characters adds to her power as an antagonist. I have been mulling this over about how I might use this in writing, how other people might. Certainly there are two underpinning things in my points. De-humanise the antagonist to make them scary. Do it in a believable and if possible mundane way, rather than introducing sorcery or magical mutation. A human who appears less than human is more scary than a scaly goblin. Making the antagonist mute is one possibility. As I commented above, perhaps do something with their eyes. I’d be curious what other things people might do to their antagonists to de-humanise them, and if you feel like sharing, then please do in the comments. (and just for the sake of clarity, I am not suggesting blindness or being mute makes anyone less human. I am trying to get people thinking about their characters and how others might perceive them in certain contexts) Secondly, decide what the main activity the protagonists are doing in the story and give your antagonist something that renders their efforts futile. In Etain’s case, her tracking made their running futile. Perhaps, like in the Netflix Show Daredevil, the villain has ubiquitous spies and a long reach. Again, I am sure that you can think of other things that villains can do that render the heroes impotent. My suggestion, make whatever it is you give the villain as mundane as possible so it doesn’t feel like you gave the villain the magic staff of hero thwarting. Just my thoughts. Now, over to you. What are your thoughts on making implacable villains?